Essential reading for anyone interested in the leaders who shaped our nation. Popular interest in the Founding Fathers has surged over the past decade and is beginning to rival interest in the Civil War. People are increasingly looking back to the generation that invented this country's political ideas and institutions for help in today's complex political world. 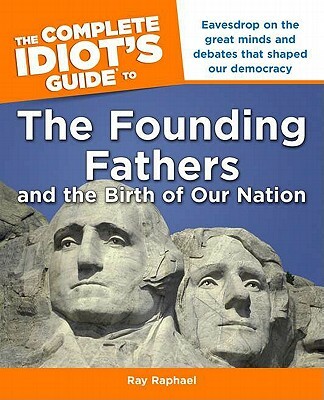 The Complete Idiot's Guide(r) to the Founding Fathers presents the Founding Fathers through the issues that defined them-issues that are with the country today. Ray Raphael is a Senior Research Fellow with Humboldt State University and is a leading writer on the early history of the United States. His books include "A People's History of the American Revolution, The First American Revolution, Founding Myths," and "Founders."